Collects INJUSTICE 2 #13, #15-17 and ANNUAL #1. Wonder Woman takes center stage as the war between Batman and Ra’s al Ghul continues. 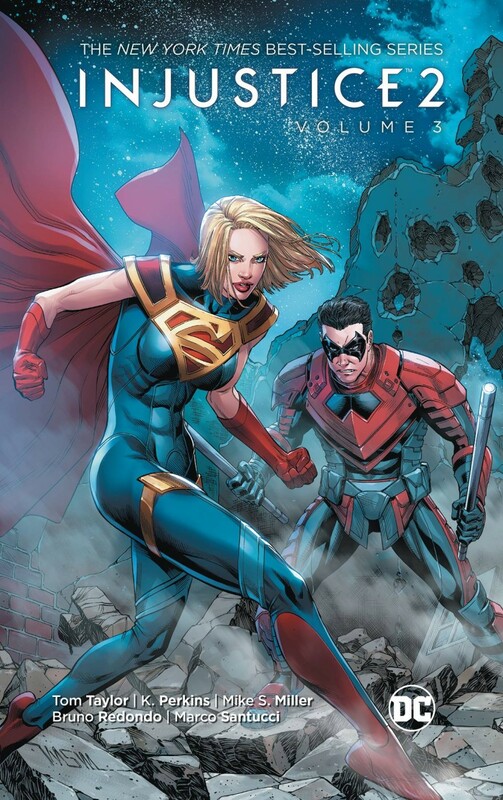 Nightwing (Damian Wayne) asks Black Adam’s help in freeing Wonder Woman from her Themysciran prison, but ends up discovering the existence of a new ally: Superman’s cousin, Kara Zor-El, whose power could change the fate of the planet! But Kara has yet to master her Kryptonian powers, and what starts as a rescue mission takes some unexpected turns in the heart of the Amazons’ home!